“Boy Hero” by Michael Walsh is a story that encompasses love, compassion, dealing with past regrets, and helping to heal others. Hai Lee is a mango grower in Taiwan who is plagued by past actions from when he was 10 years old, during a war. Even though he has kept this troubling time to himself for many years, it comes to the surface when his grandson Curtis shows up on his doorstep. Hai Lee finds that growing his prized mangos and working the land gives him the peace that he needs, however, Curtis has a chip on his shoulder and refuses to change his ways. During the course of the story Hai Lee begins experiencing problems with his sight and at first refuses to get treatment. He eventually has the needed surgery, only to find it did not accomplish what he hoped. Curtis the grandson slowly starts to come around and adapt to this strange and new family relationship and learns to care for his grandfather and what he stands for. He finds that his grandfather’s friends accept him for who he is and impart daily wisdom to him, hoping he will find his way. Walsh has a gentle way with his writing, while he also stirs compassion and self-reflection. “Boy Hero” is an easy read and readers will not want to put it down. It will have you going through several emotions. The development of characters is good, the story moves smoothly, and you are left with wanting more. Walsh strives to give readers hope and inspiration in that there are some things in our lives that happen that we cannot change. At the same time there is redemption, but first we must forgive ourselves. Walsh was a rebel by nature, and you can see some of this come out in his development of the character, Curtis. 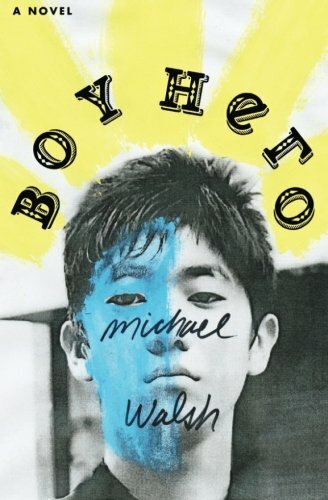 “Boy Hero” by Michael Walsh is a true story of coming of age, letting go of the past, and loving you for who you are. It is rare you find a book that completely involves you emotionally, while at the same time provides you with peace.